WHAT’S UP IN WILMYWOOD 09/30/2013, Matt is back, The Squeeze and more. Happy Monday! Last night was an NC double header with the Charlotte shot (and might I add Emmy winning) Season 3 of Homeland on Showtime followed by our own Eastbound and Down, Season 4, the final season. I know it was hard on a lot of folks who just HAD to watch Breaking Bad! 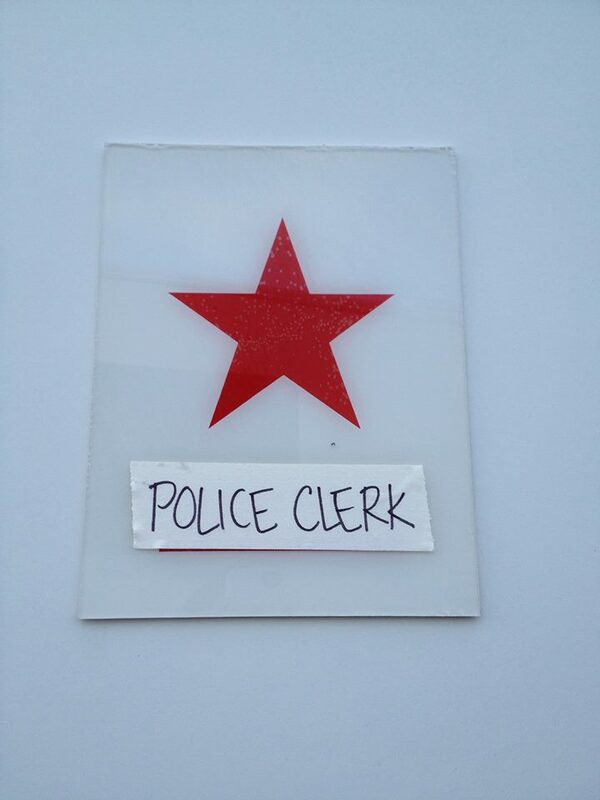 Sleepy Hollow is welcoming back on set today, Matt Lintz. Mackenzie Lintz (Norrie, Under the Dome)’s little bro is holding his own and from what his mom told me a while back, he has actually had more acting gigs in Wilmington than any of the Lintz’ family members. Awesome Matt! We love having you here! The Sleepyheads will be shooting on the lot today. And of course, episode 3 is happenin’ tonight at 9pm on Fox and it’s all about the Sandman! Congratulations to the Cucalorus folks. They exceeded their Kickstarter goal of 23k with $24,108! The festival kicks off November 13th and runs through the 17th. WECT reported Jane McNeill and Anthony Reynolds, two Wilmington-based actors, both landed roles in the Hugh Jackman flick Prisoners. Well, there is one more to add! The fabulous Alisa Harris is also on that list! As you can see she played the Police Clerk in the flick. If you saw the movie, lemme know if you spotted the pretty lady! She said she didn’t get to scream like she did in Witches of East End while playing the Frantic Woman, but she did make Jake Gyllenhaal jump a little. LOL Awesome Alisa! Executive Producer George Parra is opening up offices at Screen Gems today for the golf loving family film, The Squeeze. They should begin principal photography in about 3 weeks. 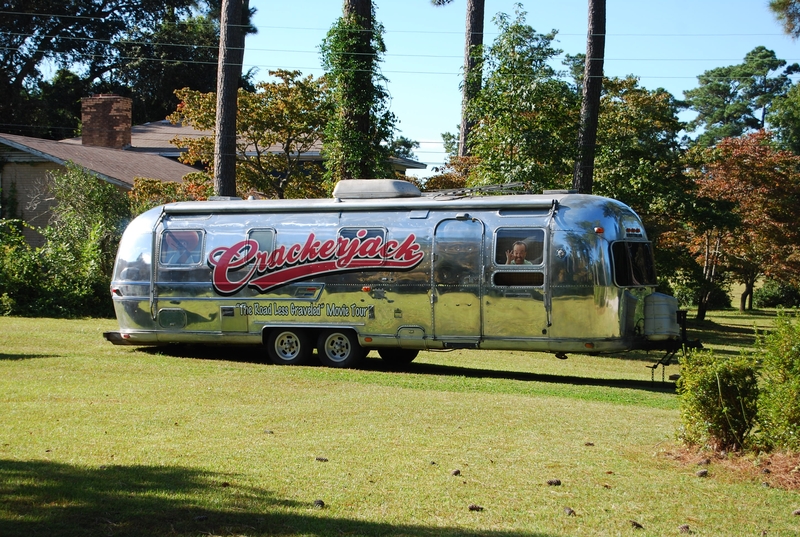 Look what made it into Wilmywood this weekend as we gear up for the VIP screening of Crackerjack! It was spotted in the Bayshore area of Wilmywood! I will have tickets to give away to the VIP screening of Crackerjack (Art Within Productions/Modest) during the “Crackerjack Road Less Graveled Movie Tour.” The film opens at the Regal Mayfaire 16 on October 11th, with an invitation-only V.I.P. screening on October 10th. The PG-13 rated film stars Wes Murphy and Bethany Anne Lind and narrated by Jeff Foxworthy. He is also the Executive Producer. The film was shot in Savannah, GA. MORE DETAILS TO COME. Finally, we got a Wilmywood party tomorrow night at Shell Island Resort in Wrightsville Beach from 6-9pm. I will be bartending and all my tips will go to Canines for Service! Hope you can make it. Gonna be super fun! WHAT’S UP IN WILMYWOOD 09/27/2013 Eastbound, Cucalorus, The Remaining and more.